“I hadn’t quite understood the full extent of this, but if you look at the UK and look at how we trade in goods, we are particularly reliant on the Dover-Calais crossing. And that is one of the reasons why we have wanted to make sure we have a specific and very proximate relationship with the EU, to ensure frictionless trade at the border.” Those words, reported by London Playbook’s Jack Blanchard, were spoken by Dominic Raab. Yes, the actual Brexit Secretary, who campaigned to leave the EU, apparently wasn’t aware of the importance of the Dover-Calais crossing. This is the context in which Labour is calling for attorney general Geoffrey Cox’s legal advice to be published. Earlier this week, it’s been said cabinet ministers including Michael Gove asked to see the full legal advice rather than being given simply a summary. 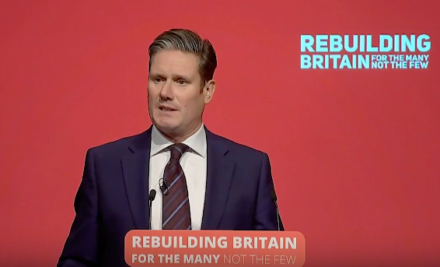 Now Keir Starmer, who visited Brussels yesterday, is demanding the same level of access. Ministers say this would be out of the ordinary, as it goes against convention, and even Remainers such as Anna Soubry warn against full publication. The backbench Tory MP pointed out yesterday that government lawyers should not be put off from offering “robust” opinions. This could come to a head next week, when Labour might use that parliamentary trick – a ‘humble address’ – which saw the opposition successfully force the release of Brexit impact assessment papers last year. A motion is likely to attract cross-party support, as the Lib Dems and DUP have already demanded the legal advice too, and could secure another win for Starmer.